2. Sign up for a developer account on http://developers.facebook.com if you do not already have one . If you are prompted for a platform, Choose Website. 4. Choose the name of your app and click on 'Create New FaceBook App ID'. The app name is what will appear on FaceBook when a photo is posted. your contact email (3) and click the Save Changes (4) button. 9. In the navigation menu on the left, choose App Details. required, and very important during review. 11. Upload your icons in the required size and click on Save Changes. 1. On the top navigation menu, choose Tools & Support. Once that window loads, choose Graph API Explorer. 2. Under the Applications dropdown, choose your current app. 4. Select the Following Permissions and click on Get Access Token. 7. A report of "ID" is a success. Check your Facebook feed for your test message. 8. Choose your app from the drop down to go back to your settings. (1) Click Add Notes for each Permission. For each section, you are welcome to use our verbiage and videos below. These are by no means a guarantee of approval, just what worked for us. (1a) Choose "Lets people publish content or respond to posts and comments as a Page"
would be nice if you prepare your own movie. experience during making photos in photo booth. 14. Click "Add Notes" to the publish_actions permission. Under "How is your app using publish_actions" choose "Lets people post to Facebook using a custom composer"
Upload a screencast of the user interface. Their video requirements are constantly changing so make sure you read exactly what they are looking for. 15. Click "Add Notes" to the manage_pages permission. Under "How is your app using publish_actions" choose "Lets people publish content or respond to posts and comments as a Page"
16. Click "Edit Notes" next to "App Verification". Upload at least 4 screen shots showing each step of the process. 17. Click on Submit for review (the button should have color) and hope! 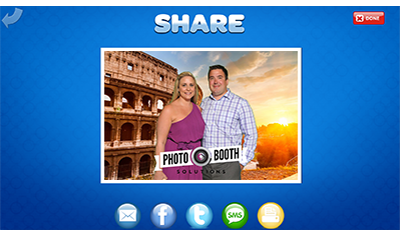 This app is used to allow users to post photos to their walls from a photo booth. There is no web component. The photo booth is a desktop application. The user takes their photos and then logs in to their account to post their photo. These permissions are only used to upload a photo and then the user is logged out. Users will see "Uploaded by Photo Booth Uploader" on their walls when uploading photos from the photo booth. The request of manage_pages/public_pages is for another type of FB upload available in the software and that is for the photo booth OWNER to have the photos posted to his wall. To accomplish this, the owner logs in to their FB account in the settings of the software and selects either their main account or a page that they have access to. The request of User_photos is so the owner can create an album for the photo uploads to their page using the manage_pages.